Mason County (pop. 60,699), northwest of Thurston County, is one of six Mason counties in the U.S. It was named for Charles H. Mason (1830-1859), first secretary of state of the Washington Territory. 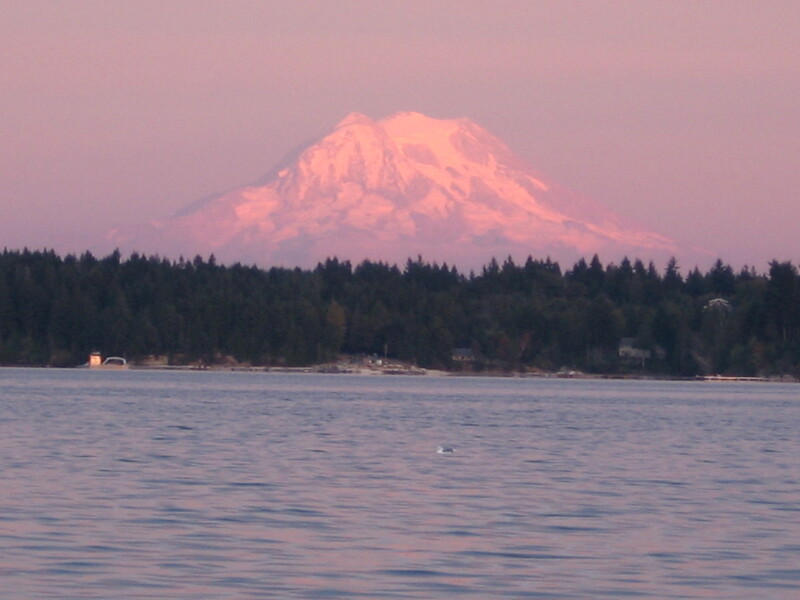 The county includes parts of the Olympic Mountains, Olympic National Park, Hood Canal, the Kitsap Peninsula, and the southwestern corner of Puget Sound. The county seat of Mason County is the city of Shelton (pop. 9,834). 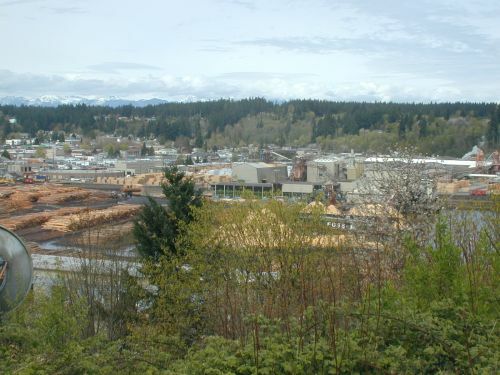 Shelton has a long history as a center of Washington’s timber industry. The Simpson Lumber Company has run its own railroad for about 120 years. It once had several hundred miles of track in the Olympic Peninsula, but it now has only about 10 miles of operational track. The High Steel Bridge (1929) no longer has trains. 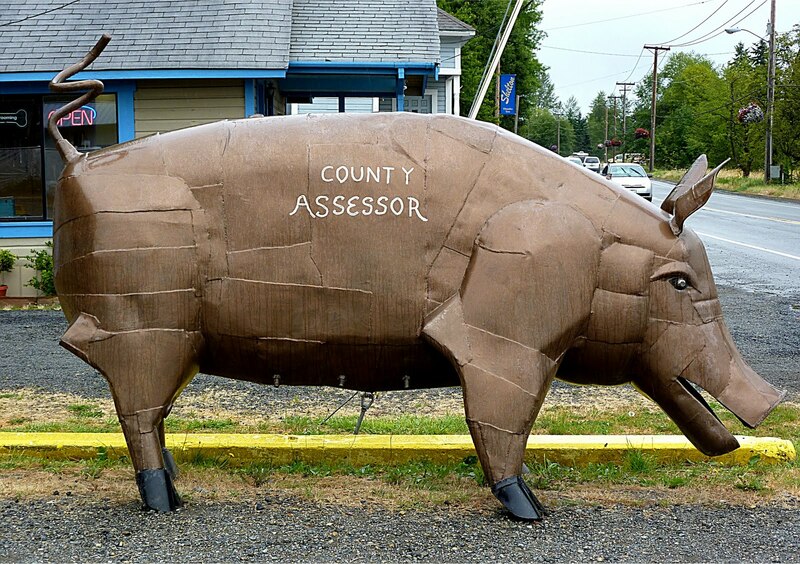 Another attraction in Shelton is a large metal pig – apparently protesting local property taxes. North of Shelton, the community of Union is known for its views of the Hood Canal and the Olympic Mountains. 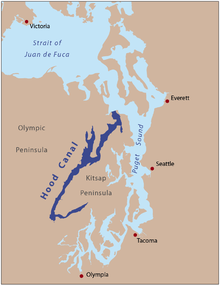 Union is at the “Great Bend” of the Hood Canal, which is not a man-made canal but a natural fjord on Puget Sound. Three-day group classes are available. This entry was posted in Washington and tagged George Kenny's Chainsaw Carving School, Hood Canal, Kitsap Peninsula, Simpson Lumber Company. Puget Sound down in that county is really remarkably confusing.